A rebooted Powerpuff Girls will premiere in early April in a channel roadblock on April 9, just days after its US premiere. The Powerpuff Girls originally aired in 1996 and ran for 78 episodes. The new version premieres with six new episodes at 10am Saturday, April 9 on Cartoon Network, with a roadblock across other Turner channels including Boomerang, TCM Turner Classic Movies. It will then screen 6pm weekdays from April 26 on Cartoon Network. Superhero-sisters Blossom, Bubbles and Buttercup are known to their fellow citizens of Townsville as The Powerpuff Girls. Together, they protect their beautiful, bustling metropolis from sinister evildoers, intent on taking over. Juggling school, homework and a regular parade of villains is no easy task, but The Powerpuff Girls are more than up to the challenge. 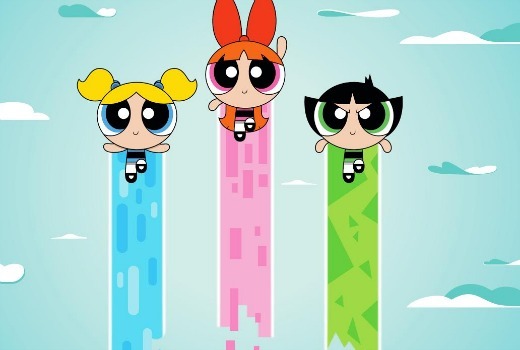 Armed with supercool superpowers and some topnotch teamwork, The Powerpuff Girls, with occasional assistance from Professor Utonium and the Mayor of Townsville, show their hometown and the world that it is possible to save the world before bedtime.